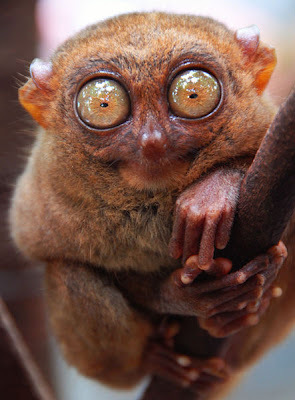 This is the tarsier, one of the smallest primates in the world, found only in the Philippines, on the island of Bohol in central Philippines and in Sarangani province on the island of Mindanao*. They are very small, they can roll into a ball that can fit into your hand. They're awfully cute, spooky but cute. They look like yoda, really.